MyRaw Food Bar is open for you since 17th July 2017. 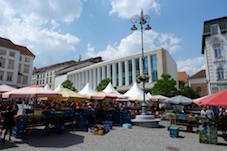 You can find us in newly renovated marketplace on Zelný trh 14-16, right by the entrance from Starobrněnská street. You can look forward to our raw cakes, sweets, but also a daily menu, smoothies, fresh juices and alternative coffee preparation. We can’t wait to welcome you here! Try to eat clean, plant-based, whole-food diet without any chemicals, refined sugar and gluten! Challenge starts on 1st April. New store is opened from 9:00 to 17:00 Monday to Friday. 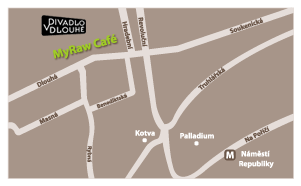 MyRaw Café is attending the First fair dedicated to plant-based lifestyle in Prague. You can find us from 29th to 30th October 2016 in Slovanský dům in Prague 1. WE CELEBRATE OUR 2ND BIRTHDAY! On 9th September, MyRaw Café celebrates its 2nd birthday! We have prepared birthday cake and new menu for you! Come and have a taste! This Saturday, we will attend the ending of Veggie Parade march with our MyRaw tent. You will find us in Stromovka park (Tiskárna na vzduchu). We would like to invite you to the opening ceremony of our new store in Roztoky u Prahy on 29th April 2016. On Friday 25th March, opening hours will be 11:00 – 21:00. On Easter Monday, 28th March, 11:00 – 18:00. 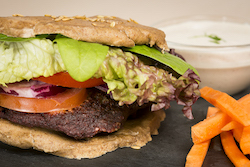 Thanks to the great success of our raw burgers, they will be available daily until they are sold-out. MyRaw Café has grown with a new store in Roztoky u Prahy - MyRaw Food, where we can prepare anything for you - from our cakes to custom-made salty raw food. 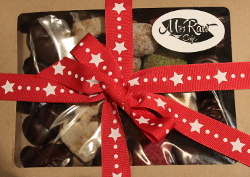 You can order at myraw@myraw.cz or by phone at +420 604 279 086. We would like to warmly invite you to opening ceremony of Andrea Schmidt’s vernissage on 7th December 2015. Come to taste our raw desserts at the Cake Festival on 17th October 2015 from 13:00 to 20:00 in Diplomat hotel, Evropská 15, Prague 6. Mirka Malaníková, MyRaw Café founder, has been nominated for a Woman of the year award. We warmly invite you to Sunday’sraw food courses under supervision of our chef Veronika Růžková and owner Mirka Malaníková. MyRaw Café na Festivalu živého jídla v Praze 6.-7.6. 2015 MyRaw Café will be at Festival of live food in Prague, 6th to 7th June 2015. Our latest offer is salty or sweet breakfast menu, served every day until 11:30 with espresso coffee for free.